Offering you a complete choice of products which include weather monitoring station for solar power plants, remote monitoring system for kw solar power plant, solar radiation sensor (silicon pyranometer), solar radiation sensor-kipp & zonen, module temperature sensor and wind speed sensor. The Weather Monitoring Station is a device capable of monitoring data from various weather sensors having Analog, Digital and Counter output. The output from the weather monitoring system is on MODBUS TCP/485 protocol for communication with SCADA system. It has optional 5” touch screen display for viewing live weather parameters. It has inbuilt FTP push facility and optional Wi-Fi for wireless transmission of data on Web Server. It also has inbuilt 16GB SD card (Expandable upto 64GB) which stores the data in multiple time stamp. Remote configuration of system over Ethernet. Live view of weather parameters. We are offering Remote Monitoring System to our clients. Battery back-up upto 1 day at additional cost. 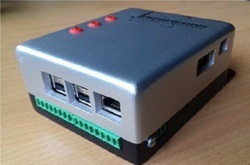 The device monitors data from various weather sensors, Invertors & Energy Meters. Apart from logging data, the device uploads the log to the remote web server. The data can be uploaded on Web Server using 2G/3G GSM/GPRS or through LAN at user definable time Interval. The data is also stored in inbuilt SD card in CSV format. All invertors having MODBUS 485/TCP output. The system can be customized as per customers requirement. We are offering Solar Radiation Sensor to our client.The sensor is designed for continuous measurement of solar radiation or light measurements in open field for long durations. 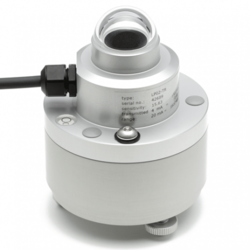 Pyranometer sensor is designed for metrological observation, where reliable sensor with accuracy of measurement and long term stability are must. The low power consumption makes it ideal for remote applications.The sensor can be used for long periods in hostile weather conditions, without maintenance. Special filters are provided to keep the sensor free from dust and water splash. 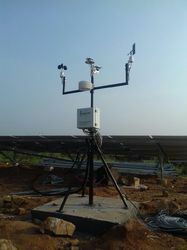 Solar Radiation Sensor is used to measure Solar Radiation in horizontal as well as tilt plane. 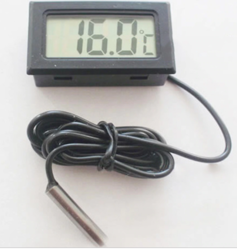 We are offering Module Temperature Sensor to our client. Together with this, the personnel sent by us for providing these products and services are well known with the understanding of this business realm and are delivering these products and services as per the necessities of our patrons. 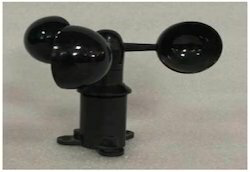 We are offering Wind Speed Sensor to our client. Together with this, the personnel sent by us for providing these products and services are well known with the understanding of this business realm and are delivering these products and services as per the necessities of our patrons.